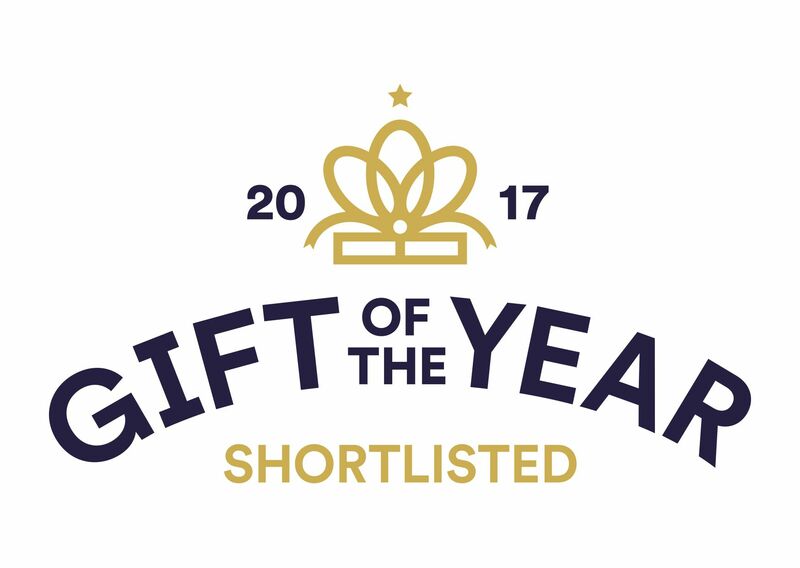 We are pleased to announce that the Glove Box Care Kit has been shortlisted for Gift of the Year 2017. The kit beat a record number of entries to be one of 6 shortlisted under the Eco-friendly category. 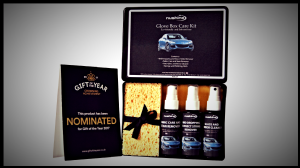 Ingeniously designed for unexpected spillages and stains, this eco-friendly gift is compact enough to fit in a glove box but powerful enough to keep cars beautifully clean. The Stain remover acts quickly in a crisis, cleaning and neutralising upholstery and car seats to leave interiors spotless and deodorised. 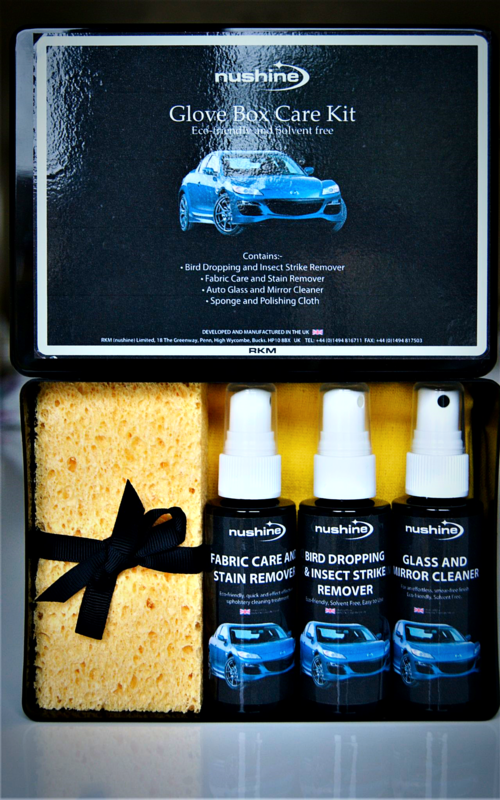 Particularly useful on children's car and boosters seats to keep them stain free and hygienic. The Bird Dropping Remover reacts rapidly to eliminate exterior organic matter whilst the Glass and Mirror Cleaner is ideal for increasing visibility by removing dirt, grease and stubborn little handprints leaving them sparkling. 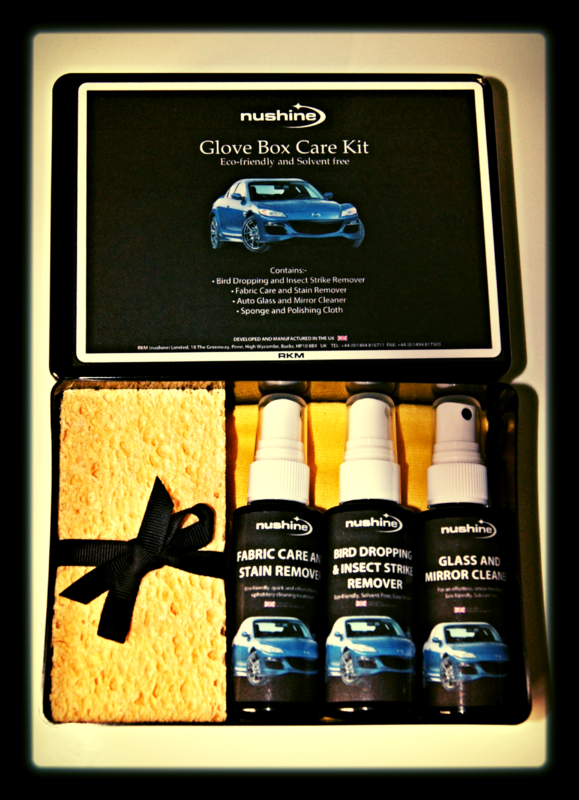 With polishing cloth and sponge also included, this kit is perfect for cleaning emergencies when you're on the move. Designed, formulated and manufactured in the UK. 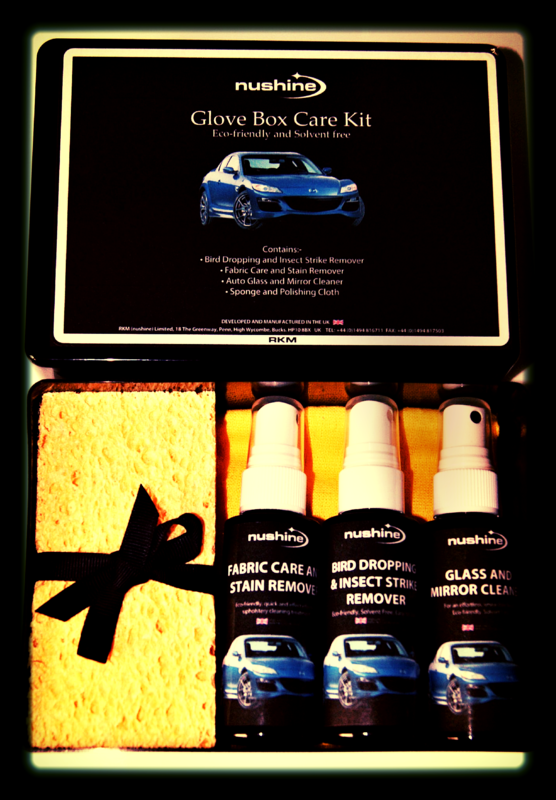 This unique, eco-friendly set contains every essential to keep your car permanently clean and shiny. Refills available.